Much of the information in this grimoire is at present AVAILABLE NOWHERE ELSE, and will likely never see the light of day again. A grimoire is a work of magickal instruction specifically for solving problems and making wishes come true, so magicians have traditionally believed. This grimoire should be treated with respect, as indeed any genuine magickal work should be. Magick in this instance is any psychological or supposed supernatural device which possesses the presumed power to change or alter circumstances. Each chapter in this ASTOUNDING book contains a complete instruction for a specific purpose, according to the results obtained by readers of Finbarrs classic library of titles. Magick powers are an absolute reality in the practitioners mind. Critics will say that there is no proof for such things. We prefer to think that readers and the public at large can make their own judgments. We are concerned only with the opinions of those who have written to us, whose opinions are in this Grimoire. These people believe that magick produces results. The magick powers in this grimoire are simple to apply. We dont have to say that they work; our readers have already TOLD us so, or at least those who have chosen to tell us! Packed with astonishing, genuine testimonials, along with ALL OF THE ORIGINAL SPELLS & RITES... 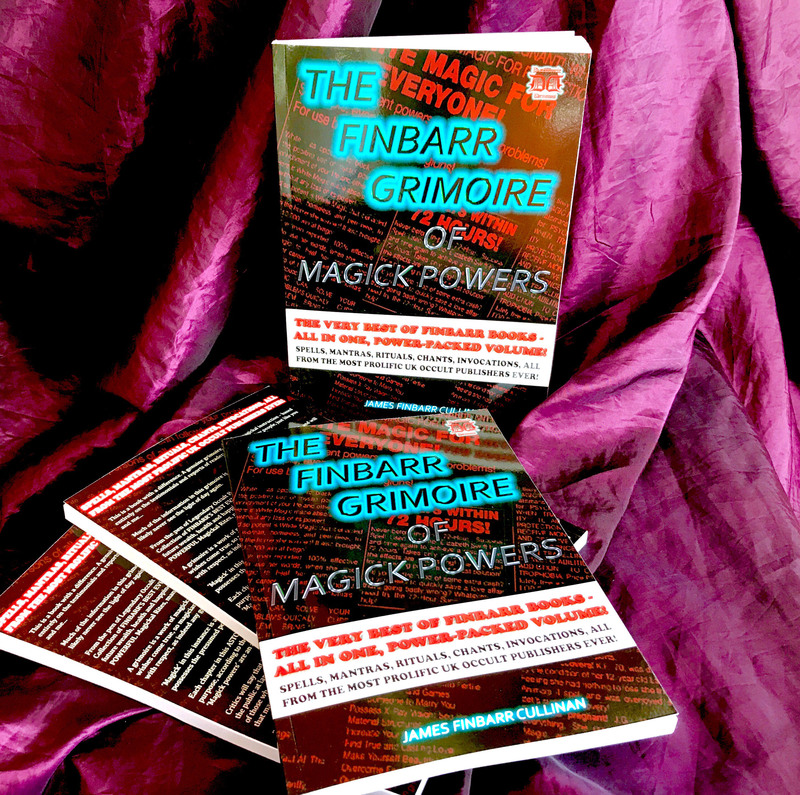 THIS COULD BE THE MOST IMPORTANT BOOK ON MAGICK YOU WILL EVER OWN!